Galicia, Spain: More than three people have killed after a train derailed today. As per local reports, the Train derails in Spain incident took place in the northern province of Galicia, Northern Spain. The incident took place today in O Porriño, Galicia, northern Spain. The derailed train was carrying 60 people boarded. 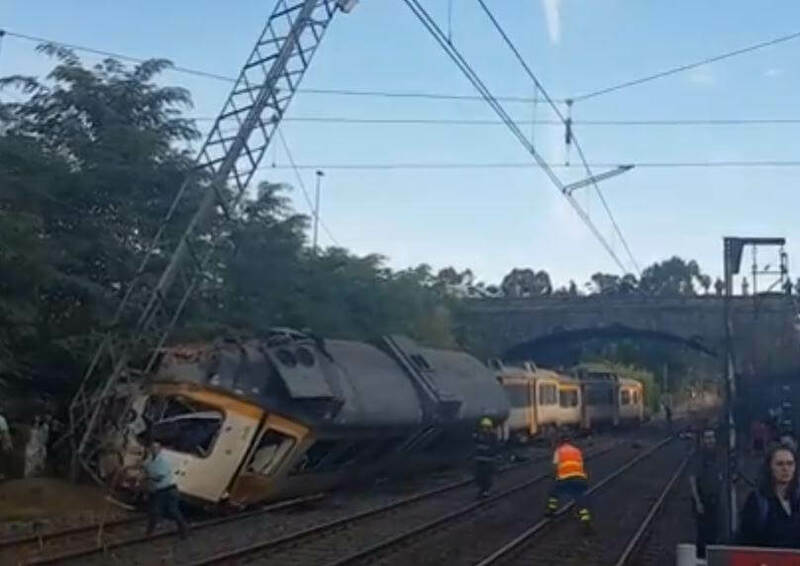 The train on its journey from the Galician town of Vigo to Portugal when the accident happened near the town of O Porrino. Local authorities from Galicia said that more than three people were killed. But the National Rail Company Renfe said several people died on the train. The train was running towards a curve at more than twice the speed limit on that piece of the track in Galicia. As per the local media sources, emergency medical services were available at the incident scene and the local police have confirmed a high number of injuries after the train derailed. The derailed train was owned by Portuguese rail company “Comboios de Portugal”. Three people are dead and a fourth person is in critical condition in hospital. The incident took place around 9:30am local time in the north-western province of Galicia. In 2013, in a similar incident, Spain had suffered their worst rail disaster in which 40 years. Around 79 people were killed and 140 were injured when an Alvia high-speed train travelling from Madrid derailed.